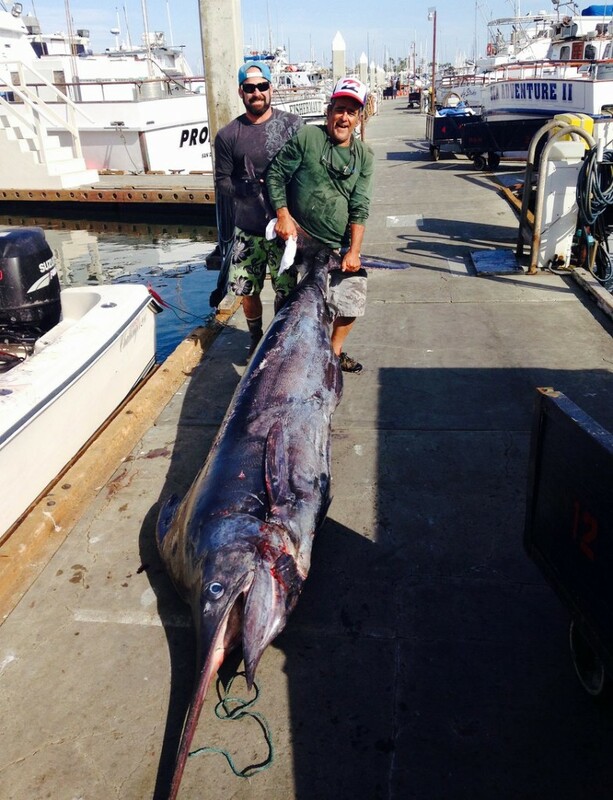 Joel Smith of San Diego has checked the “largest marlin taken with speargun in CA waters” box with his recent feat. Joel was fishing with his father and friends about 25 miles out of San Diego. They decided to try spearfishing under a kelp paddy and quickly scored on a dorado. Shortly there after, a huge blue marlin came in to check out the scene and gave Joel a perfect broadside shot, which he quickly took. The marlin was stunned, but soon began to take off with Joel in tow. The marlin stopped briefly and Joel struggled to get back to the boat. Before he could make it the marlin took off again dragging his captor behind. On the third pause in the action, Joel made it to the boat and the crew began to handline the fish while the boat gave chase. This went on for two and a half hours before they were able to boat the fish in the 23-foot center console. 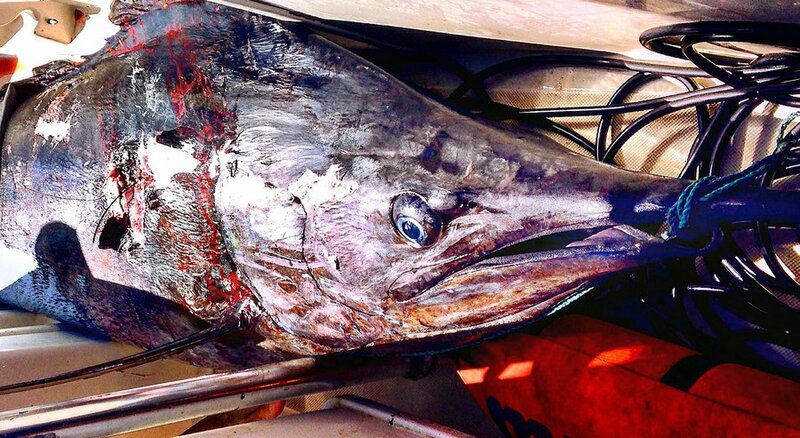 The marlin weighed in at 413-pounds and is reported to be the largest fish ever taken by spear on the West Coast. Joel had his catch smoked and is enjoying eating it and nothing went to waste. Congrats from BD on such an epic catch. Photo Credit: Joel Smith courtesy of The San Diego Union-Tribune. Sportboat Report – What Else Can I Do?